The perfect ornament for every angling enthusiasts tree! Home / The perfect ornament for every angling enthusiasts tree! 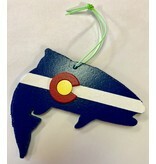 Handmade in Colorado for those who love Colorado trout fishing. 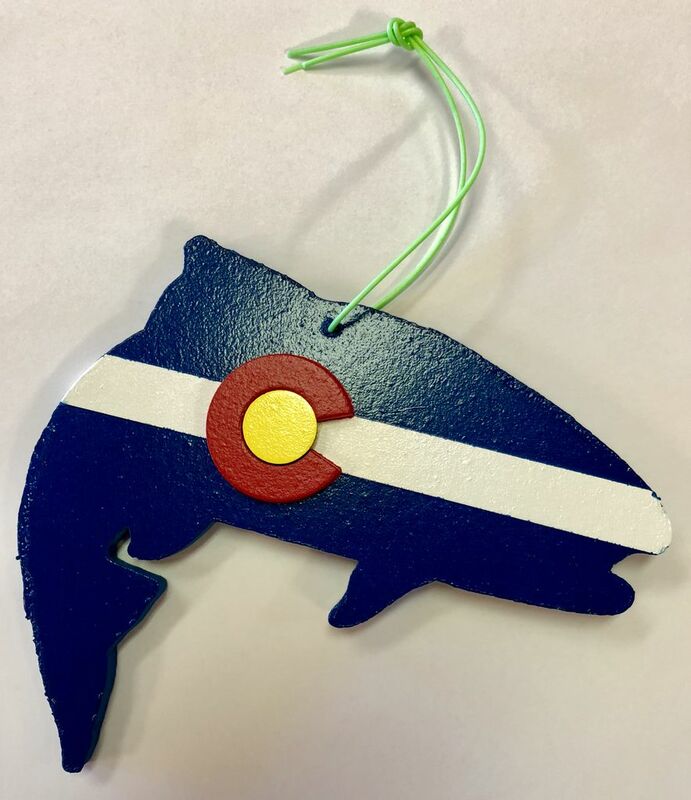 This great limited edition ornament is perfect for that friend or family member that lives to fly fish or if you just want a great reminder of the great state of Colorado to hang year around! 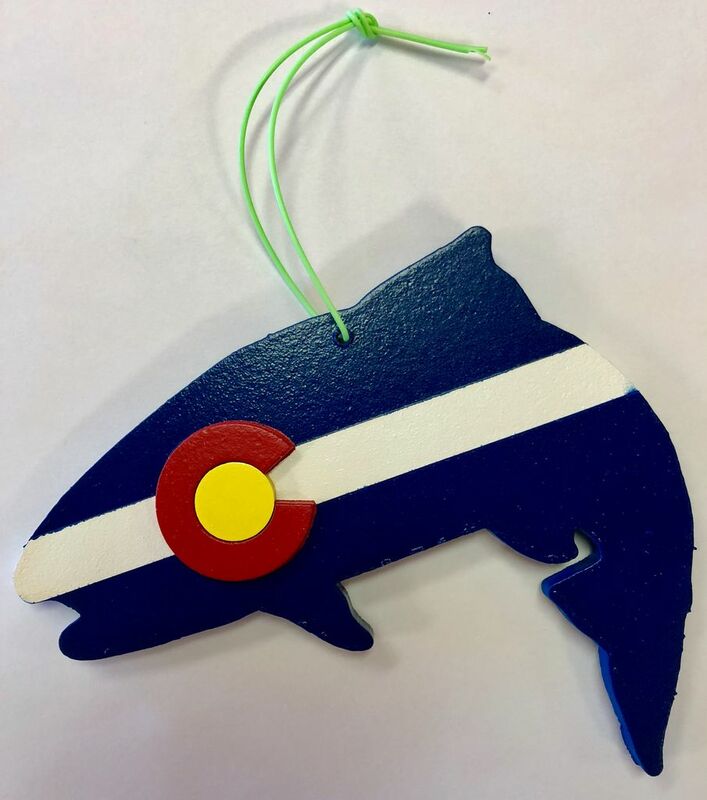 Both sides feature raised Colorado flag design (Red and Yellow portion is raised off the blue and white trout). Ornament is 6” long and 4” tall with fly line hanger.